Many of the Founding Fathers of the United States, despite owning slaves themselves, despised the practice of slavery. In his initial draft of the Declaration of Independence, Thomas Jefferson condemned the injustice of the slave trade and, by implication, slavery. Nonetheless, the South had become reliant on slavery, and political unity was a necessity for young America’s success. Thus, the shameful institution weaseled its way into the United States Constitution, and there remained unchallenged until the 13th Amendment was ratified in 1865. 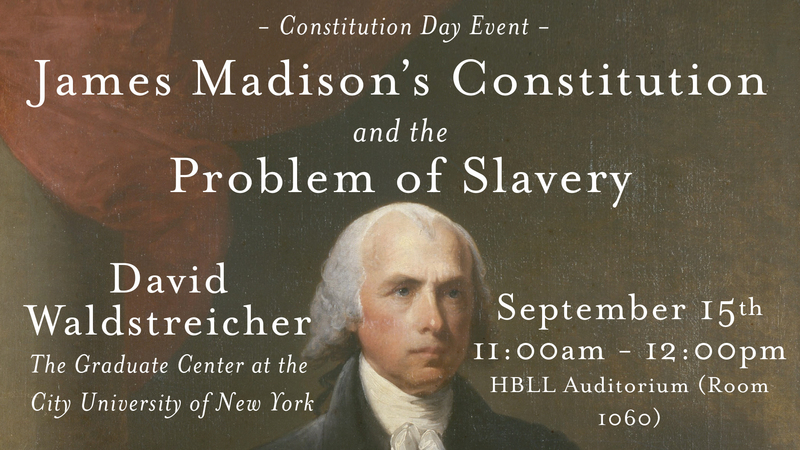 David Waldstreicher is one of academia’s foremost scholars on the slave issue in early America, and will speak on slavery and the Constitution on Thursday, September 15th, at 11:00 a.m. in the HBLL Auditorium. Dr. Waldstreicher is a Distinguished Professor of History at the City University of New York. 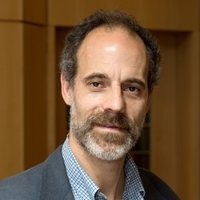 He holds a PhD from Yale University, and has previously served as a professor at Bennington College, Yale, Temple University, and the University of Notre Dame. He is the author of several books, including Slavery’s Constitution: From Revolution to Ratification, which Mason opines is “the best book-length treatment of how slavery and the drafting and ratification of the Constitution interrelated.” He is on the editorial board of Reviews in American History and is co-editor of the Early American Studies book series at the University of Pennsylvania Press.